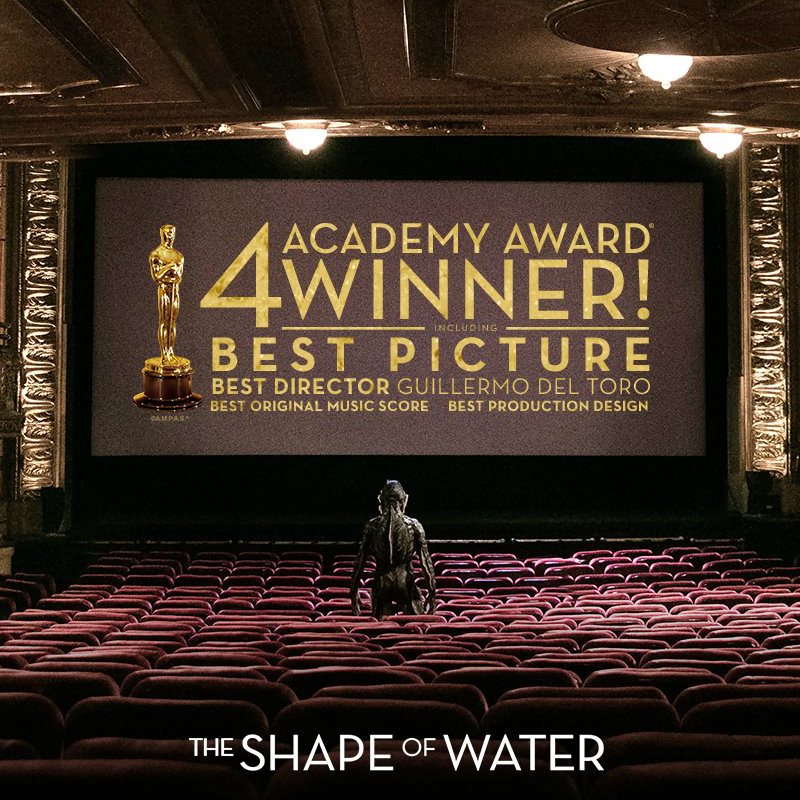 “THE SHAPE OF WATER” MAKES A SPLASH AT THIS YEAR’S OSCARS: Toronto-Shot Film Wins 4 Academy Awards including Best Picture and Best Director with Equipment Provided by Whites Lighting & Grip, Whites Specialty Equipment and Whites LES | William F. White International Inc.
“The Shape of Water,” which utilized Whites Lighting & Grip, Whites Specialty Equipment (WSE) and Whites LES from our Toronto location, won 4 Oscars at the 90th Academy Awards. Following multiple wins at the British Academy Film Awards (BAFTA) and the Golden Globes, “The Shape of Water” made its mark at the prestigious 90th Academy Awards, winning Oscars for Best Picture, Best Director for Guillermo del Toro, Best Production Design for Paul Denham Austerberry, Shane Vieau and Jeffrey A. Melvin, along with Best Original Score for Alexandre Desplat. Congratulations to Del Toro, Producer, J. Miles Dale and the rest of the Toronto-centric crew on their continued successes with this beautiful film. A huge congratulations to nominees, “Molly’s Game,” which filmed with Whites Lighting & Grip, WSE and Whites LES from our Toronto location, “Wonder,” with Whites Lighting & Grip, WSE and Whites LES from our Vancouver location, and “War for the Planet of the Apes,” which shot with WSE from our Vancouver location.